This mama goose with a pretty bow is ready to help the little chicks as soon as they hatch. 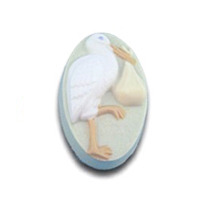 The Goose Soap Mold is perfect for Easter or spring baskets. 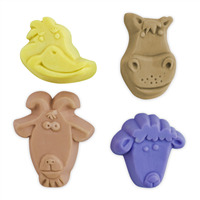 COMMENTS: Milky Way molds are great for milk and pour soap projects. Easily releases soaps. A must have. "Why do you not offer this in one or three cavity mold? Why does it have to be 150 ct.?" Staff Answer We did offer this in single piece size at one time but this mold has since been discontinued. 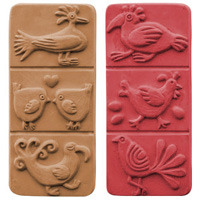 The only way for our manufacture to make these would be to produce a full run of molds which is 150.